How did you learn about non-traditional greens? After a number of unsatisfying jobs in the janitorial and dish washing field, I decided to try life without a job by moving to the woods, building a cabin, and growing all my food. It turned out that building a cabin was a lot easier than growing all my food. 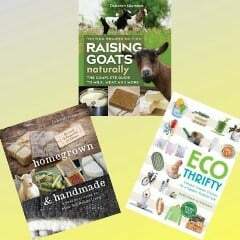 I began to study everything I could about growing food. It quickly became evident that growing leaf crops provided more essential nutrients in less space and in less time than other ways of producing food. I learned how to make leaf concentrate and began working with a British charity on nutrition intervention programs in the tropics. People were eating mainly corn, rice, and cassava and having lots of health problems. With almost no income, they couldn’t afford meat, milk, eggs, or fish. Green leaves were the cheapest source of most of the nutrients that were lacking in their starchy diet. I studied foods from different cultures looking for low-cost sources of nutrients. It was amazing how many different plants had edible, high-nutrition leaves and how underutilized this vast food resource was. I began learning to grow as many of these different leaf crops as I could, both in the tropics and in the US. In 1986 I founded Leaf for Life a non-profit focused on improving health through better use of leaf crops, and have continued learning about non-traditional greens as director of that organization. You’ve written two other books on this topic — 21st Century Greens: Leaf Vegetables in Nutrition and Sustainable Agriculture and Leaf for Life Handbook: How to Combat Malnutrition and Improve Food Security with Green Leaf Crops . Why did you write this book? How does this book differ from those? I’ve written three other books about greens; the ones you’ve mentioned here and Leaf Concentrate: A Field Guide for Small Scale Programs. The field guide and the handbook are “how-to” books targeted to development workers trying to improve the health of women and children living in poverty in the tropics. The emphasis was on how to use green leaf crops to address micro-nutrient malnutrition, especially the common deficiencies of iron and vitamin A. Twenty-First Century Greens presents the case that greens are a seriously underutilized food resource throughout the world. It provides some background on how that neglect came to be and describes several strategies for increasing the importance of leaf crops in our global diet and agriculture. Eat Your Greens is focused on the realities of North American kitchen gardeners. It looks at how the rapidly evolving movement of savvy home gardeners can have a catalytic impact on our food system. Gardening is a micro-scale agriculture that is relatively free from the market pressures that constrain commercial food production. Eat Your Greens is about taking that freedom out for a spin; experimenting with the subtle and the complex. It is about integrating ecological science, beauty, and leisure into the economics of growing food. I wrote this book to encourage adventurous home gardeners to raise some non-traditional leaf crops, and to experiment with different techniques for growing and preparing them to eat. What’s your favorite non-traditional green? That is a tough question. Don’t make me choose between my children. My favorite non-traditional green changes frequently. Okinawa spinach (Gynura bicolor) is a favorite right now. It is a hardy perennial that will die down with a freeze but, if covered with a thick mulch, will renew itself vigorously at the first sign of warm weather. It is a very productive plant but doesn’t have any imperialist plans to take over your whole garden. It is easily propagated from stem cuttings and rarely bothered by pests. Okinawa spinach is an ideal cut-and-come-again crop, recovering quickly from repeated partial leaf harvests. As a vegetable, it lends an interesting flavor with hints of pine and rosemary. And to top it off, it is a beautiful plant with rich purple undersides of its glossy green leaves. Other than the non-traditional greens, is there anything else about your garden that is different or unusual? What is very encouraging is that the gardens that my partner, Therese, and I grow are becoming less different and unusual every year. When I began gardening, there were a lot of vegetable gardens with straight rows of a handful of reliable varieties of common vegetables. A sprinkle of 10-10-10 fertilizer would get plants growing, roto-tillers would keep the wide paths free of weeds, and a bit of Sevin dust would kill any insects that ventured into the garden. Our garden is a lot more complex and relies on biological rather than chemical approaches to fertility and pest control. We use hugelkulture (buried wood and brush) and bio-char to build longer term carbon and increase the water-holding capacity of the soil. We grow plants in permanent beds to reduce the amount of space lost to paths and prevent soil compaction. We try always to have plants growing to continually feed the soil life with carbon compounds and grow edible cover crops whenever or wherever space becomes available. We aim for a dense and complex poly-culture of perennial and annual plants, with lots of trellises for climbing plants and bird perches. Some of this is unusual but more gardeners are experimenting with ecologically oriented horticulture every year, and this is great news! Do you have any particular advice for beginning gardeners? ~ Embrace your ignorance. 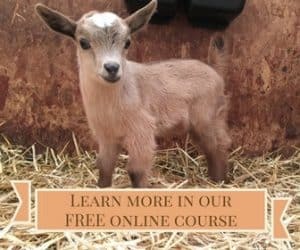 It takes a while to learn to garden well and if you can accept the first few years more as paying tuition (without a student loan to repay) to learn a craft than getting paid for your labor it removes some pressure. Experiment freely. The garden can be your personal biology lab. ~ Beware of formulas for perfect gardening. The best cooks develop a feel for the food and don’t blindly follow instructions in cookbooks. The same is true for gardening. ~ Have fun with your garden and try to make it a place where you enjoy hanging out. ~ And of course, eat your greens. 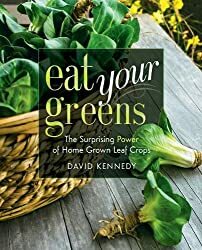 Don’t forget to enter the give-away that started on Monday, and you could be the winner of a copy of David’s book, Eat Your Greens!